Read “A weaver’s touch: Kitchener-Waterloo guild keeps age-old craft alive,” Toronto Star, November 19, 2018. Read “Keeping the art alive: Weavers preserve age-old craft,” KW Record, November 14, 2018. 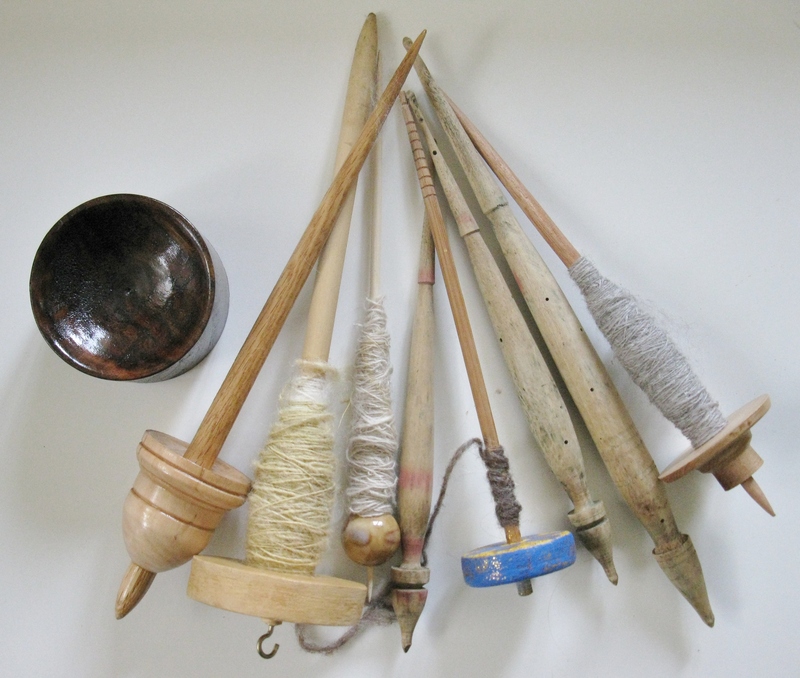 Read “Weavers and Spinners Revive History,” KW Record, November 29, 2012. See us in action in Waterloo Region. Weaving and spinning in Waterloo Region since 1948. The Guild was established in 1948 by a small group of friends who enjoyed the textile arts. Originally named the Kitchener-Waterloo Hand-Weavers, the group’s mandate was to continue the textile tradition in Waterloo Region, and assist others in obtaining knowledge about their craft. The twelve friends met in one another’s homes and shared looms. Renamed the Kitchener-Waterloo Weavers’ & Spinners’ Guild in 1980, KWWS was incorporated as a non-profit organization in April 1994. While growing in members, the Guild has not lost sight of the original goal — to preserve the textile tradition and share knowledge with others. Working together to preserve and advance textile arts. To improve the skill and artistry of the crafts of weaving and spinning. To increase the interest in and knowledge of weaving and spinning. 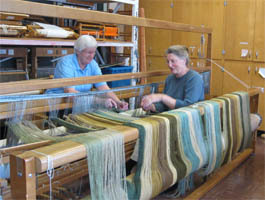 To promote, pursue, and maintain weaving, spinning, and related textile arts within the Kitchener-Waterloo area. We offer classes, workshops, and other learning opportunities to our members and the wider community. We hold a semi-annual Show & Sale and demonstrate weaving and spinning at other events in the region. At our monthly meetings, we include guest speakers, demonstrations, and activities. We encourage anyone with an interest in textile arts to investigate our Guild.